The Board of Non-Executive Directors is made up of industry professionals from a range of backgrounds. They provide knowledge and guidance in the areas of governance, human resources, law and finance. The Board meets every two months where they receive business reports from the Executive Director and Senior Management Team and take an active role in strategic and business planning. The Finance sub-committee meets monthly and discusses issues including financial planning, capital investment and levels of authority. Professor Judy Simons has an extensive background in university senior management. She is now emeritus professor of English at De Montfort University, and a research fellow at the University of London. 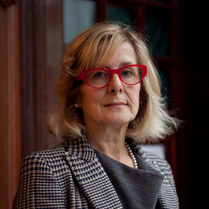 She has chaired several national higher education bodies, including a £16M programme on stimulating creative business for the Arts and Humanities Research Council from 2012-17. She was Chair of the National Council of Deans of Arts and Humanities, has advised the DCMS on arts education, and was on the strategic committee for Leadership, Governance and Management at the Higher Education Funding Council. Judy lives in Bakewell and is a long-standing supporter of Buxton Opera House and patron of the Buxton Festival. From 2009-17, she was on the Board of Sheffield Hallam University, where she was Deputy Chair, and was also a trustee of Leicester Arts for eight years. Currently she is a trustee of the Girls Day School Trust and Chair of City CV, an international career development company. She is the author and editor of ten books and over 150 articles, and is a passionate believer in the transformative power of the creative arts and their central role in the local economy. 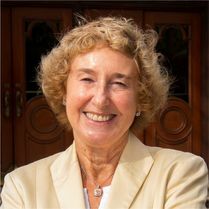 Lady Jasmine Cavendish has been a Non-Executive Director and the Patron of Buxton Opera House for 10 years. Her parents, the Duke and Duchess of Devonshire, live at Chatsworth, not far from Buxton. The Cavendish family have had strong connections with the town that reach back over three hundred years. The 11th Duke of Devonshire was the first Patron of Buxton Opera House. Lady Jasmine gained a degree from East Anglia University and has worked in the Arts Sector. She continues to have a strong interest in the performing arts. She is also President of the charity Contact the Elderly and Patron of the Buxton Poetry Competition. Her home is in London with her husband Nicholas Dunne and their 3 young sons. Kathryn Gilson is a qualified Company Secretary currently working as a freelance corporate governance professional. She has over 25 years’ experience in governance and company secretarial roles, having spent her career predominantly with corporations in the finance and service sectors including Barclays, the AA, Direct Line and the Co-operative. Kathryn has significant experience advising Boards on corporate governance best practice and project managing large scale corporate transactions. In 2005, she obtained a Corporate Governance Masters degree. Kathryn moved to Buxton with her husband in 2011 to run Griff House bed and breakfast. Having undertaken a renovation, Griff House achieved a 4 star tourist board rating. In 2016 Griff House received a ROSE Award from Visit England in Recognition Of Service Excellence. Kathryn was Treasurer to the Buxton Well Dressing Festival when the decision was taken to form a registered charity. She assisted the Committee throughout this process and has served as a Trustee since the charity’s registration in 2013. I was born and lived in Sheffield, and went to Sheffield University to read law, where I met my future wife. My first job was managing Cantors Furniture Store in Buxton. I worked for the company for 30 years finally becoming Executive Chairman. My second career was as a non executive Chairman of a variety of companies, the only criteria being that they were in different sectors and in different states of health. This was a fascinating time and enabled me to meet many interesting people. Many years ago my children took me to an opera in Leeds, at which I was overwhelmed and couldn’t believed what I had missed. I was lucky enough to be able to go to virtually every opera staged at Covent Garden over the subsequent few years and developed an enduring love of the genre. I live in the Peak District, with magnificent views over the National Park and never cease to wonder how lucky I have been. Having spent time being involved in Universities, Hospitals and other such organisations, I feel very fortunate to have been afforded the opportunity of helping Buxton Opera House to continue to provide the highest quality of cultural entertainment possible. Pamela Johnson is an independent audience development and fundraising consultant. During her 25+ year career she has worked with theatres, touring companies, museums and for Arts Council England. She was an academic for 11 years and Senior Lecturer for Arts, Cultural Policy & Management programmes at universities in Cambridge and London, devising and delivering the first Arts Fundraising module for City University’s Masters degree. 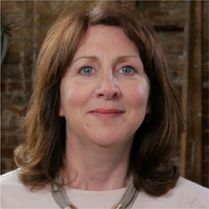 More recently she was Senior Consultant for The Audience Agency, responsible for business and resource development, training and client consultancy in audience development and fundraising across East Anglia. She led region wide data benchmarking projects, a national research study into the low level giving behaviours of audiences and visitors, which was widely published, and created a suite of online articles, case studies and toolkit resources. She has been an arts trustee for 12 years and is a member of the Institute of Fundraising. Julie is a specialist construction and engineering lawyer with experience of working on projects with clients in a number of sectors and regularly advises clients on capital expenditure projects. She has advised on the funding and delivery of a number of projects involving the refurbishment of theatres and art spaces. Julie started her career as an academic before becoming a lawyer. She studied English Literature has a PhD on British Contemporary Theatre and has continued her life-long interest in learning and theatre. She has advised on the funding and delivery of a number of projects involving the refurbishment of theatres and art spaces. Julie has always been involved in external initiatives and was instrumental in setting up the hugely successful Prince's Trust "Get Into Construction programme", working alongside the Chief Executives of a number of major international construction and infrastructure businesses to bring businesses together to create opportunities for disadvantaged young people within the industry. She also currently sits as a Governor on the Board of a UK University. 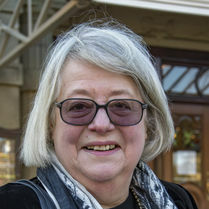 Louise Potter owned The Old Hall Hotel, Buxton for 25 years. She did her General Catering Diploma at High Peak College, Buxton and worked with Grand Metropolitan Hotels in London. She was a Governor at High Peak College when it merged with the University of Derby. In 2001 she opened 6 The Square Tearooms Buxton. Currently she is on the Board of the High Peak Theatre Trust, Board of Buxton Festival and Chairman of Kinder Children’s Choirs Trust. Louise’s Interests include art, opera, archaeology, gardening and travel. 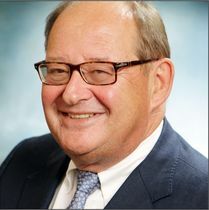 Alan is a former Fellow of the Chartered Institute of Bankers who worked for the HSBC Group for more than 35 years, which included many senior management and leadership roles. Whilst his speciality was corporate banking and corporate turnaround / restructuring; Alan managed many business relationships during his career ranging from sole traders to FTSE100 companies in a variety of sectors such as contracting, manufacturing, retail and engineering. Since retiring, Alan has been a guest lecturer at Sheffield Business School and is a director of 2 other local charities. A proud Scotsman, Alan’s interests are rugby union, hill walking and music. 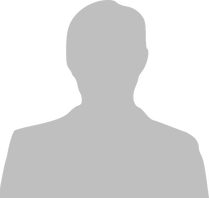 John is a Chartered Fellow of The Institute of Personnel and Development. John spent most of his career working in the manufacturing sector initially in textiles and latterly in soaps and detergents. 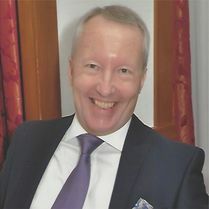 He left the role of Group HR Director with PZ Cussons in 2008 and then worked as HR Director for the University Hospital of South Manchester NHS Foundation Trust until he retired in 2012. John hails from Nottingham but now lives in Stafford. He has a keen interest in music and is a Member at Nottinghamshire Cricket Club. 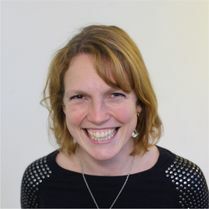 Amy Simcox is currently Head of Fundraising at Derby Museums where she has responsibility for creating and implementing the fundraising strategy. She is also a 2017-2018 Professional Fellow on the Arts Fundraising & Philanthropy Fellowship Programme. She has worked in Development in a variety of charities, but is especially passionate about working in the Arts and Heritage sector. Amy is an avid Buxton Opera House and Pavilion Arts Centre visitor. She is very proud to have such an organisation in Buxton and is excited to be part of its future. Whilst she enjoys a wide range of theatre and music, she has to confess to a secret love of a good musical! Colin Sykes is a professional journalist best known for his appearances on BBC North West Tonight where he was the programme’s Environment Correspondent for 15 years. 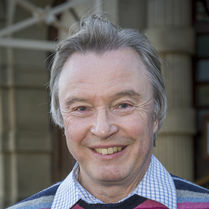 Colin began his career as a newspaper journalist before switching to broadcasting and the BBC where he worked for more than 30 years in both radio and television. He was Deputy Manager of BBC Radio Manchester, a regular producer of BBC North West Tonight and ran the pilot programmes for the BBC’s move into its new state of the art news studio at MediaCity in Salford. He now teaches broadcast journalism at the University of Sheffield. 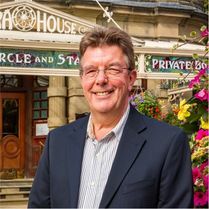 Outside work, Colin is a keen supporter of the arts and is passionate about Buxton Opera House. He produced an annual charity gala at the theatre for 12 years raising more than £120.000 for cancer research. He is a keen pianist and also performs with a four part harmony group raising money for charities in and around Buxton where he lives. Because of his TV work he has compered and chaired numerous concerts, conferences and award ceremonies throughout the North West. Emily Thrane was nominated by High Peak Borough Council to serve on the HIgh Peak Theatre Trust in June 2015. She is the authority’s Executive Councillor for Finance and Corporate Services. 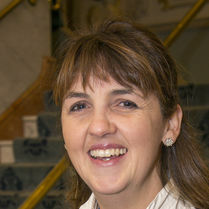 She has represented Temple ward in Buxton since May 2007. She was also a Theatre Trust director 2007- 2011 and represented the Derbyshire district councils on the East Midlands Arts Council 2008 - 2011.